If you have been by the gallery in the past few months, you may have noticed that what was once the pottery studio has been under renovation. 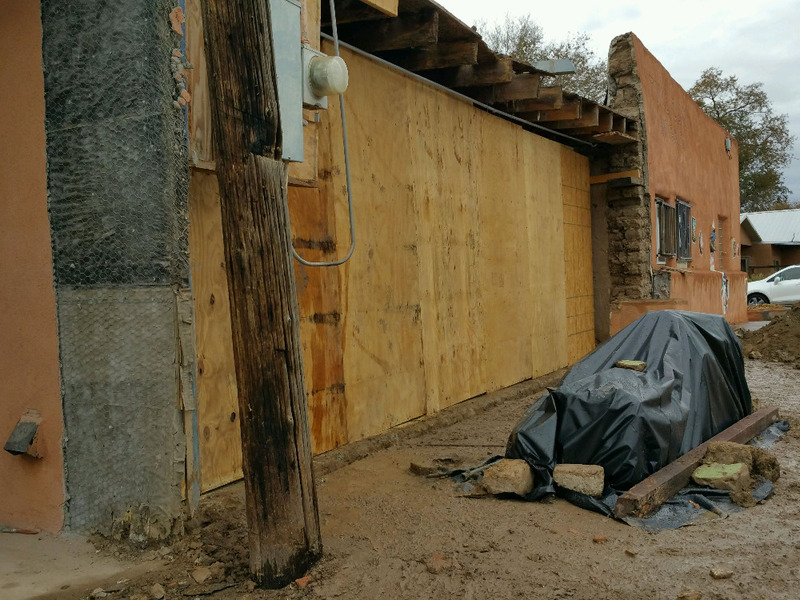 What started as a simple remodeling of the space to enlarge our gallery, turned into something much larger when we discovered that the east wall, built in the 20's of terrones, hand cut adobes, was unstable and had to be replaced. 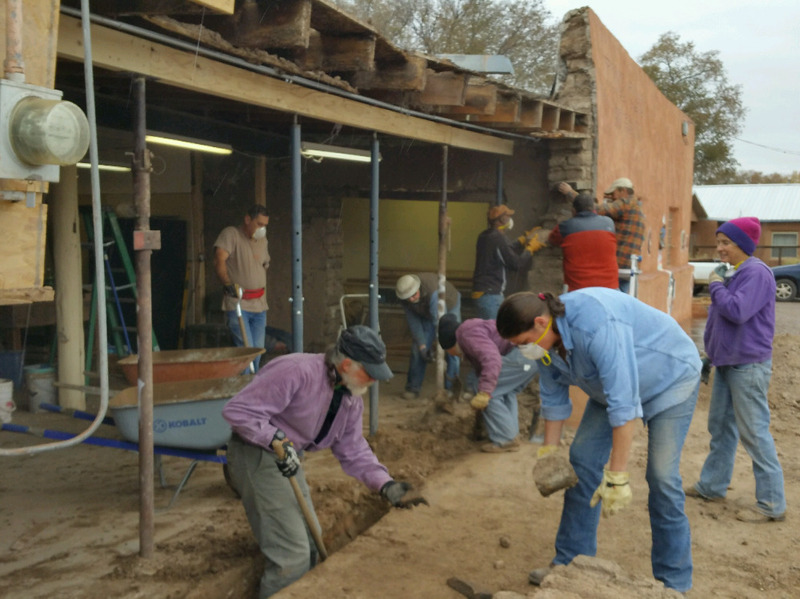 On Sunday, November 15, 2015, more than 20 gallery members and friends gathered in the rain to bring down the old problematic wall and close it in with a temporary wall as winter weather set in. This group of exceptional people had the project finished and cleaned up by 3 pm. 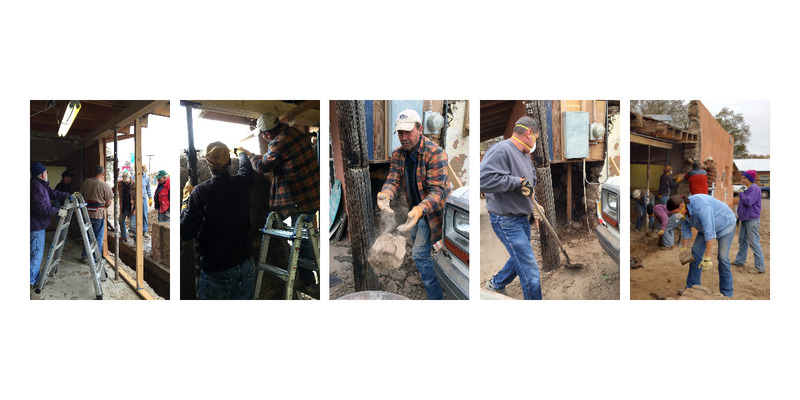 There was lots of shoveling and moving of heavy stuff, donations of food for the workers, tearing down and rebuilding, and neighbors wishing us well and donating needed equipment and supplies. 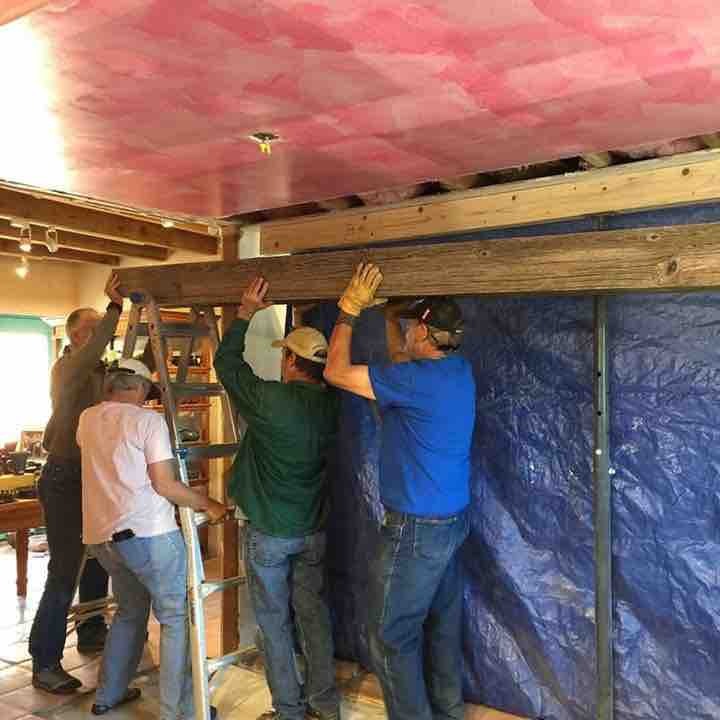 It’s not surprising to our members that this seemingly impossible task was completed in less than a day, because our Tome Gallery family is simply amazing. This is what being a co-op is all about. 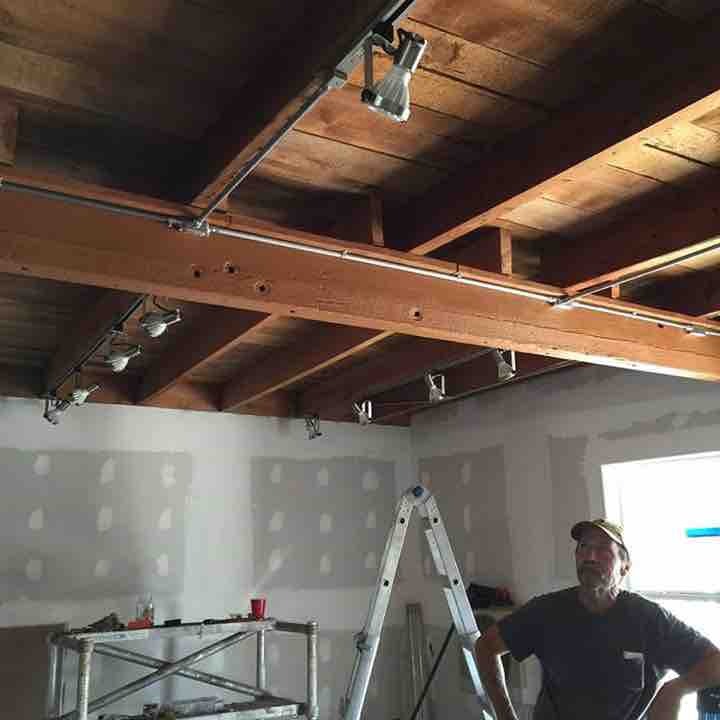 The owner of the building, Jan Pacifico and her husband, George Ridgeway have been working since September on the renovation, but it is clear that the effort needs to be enlarged. 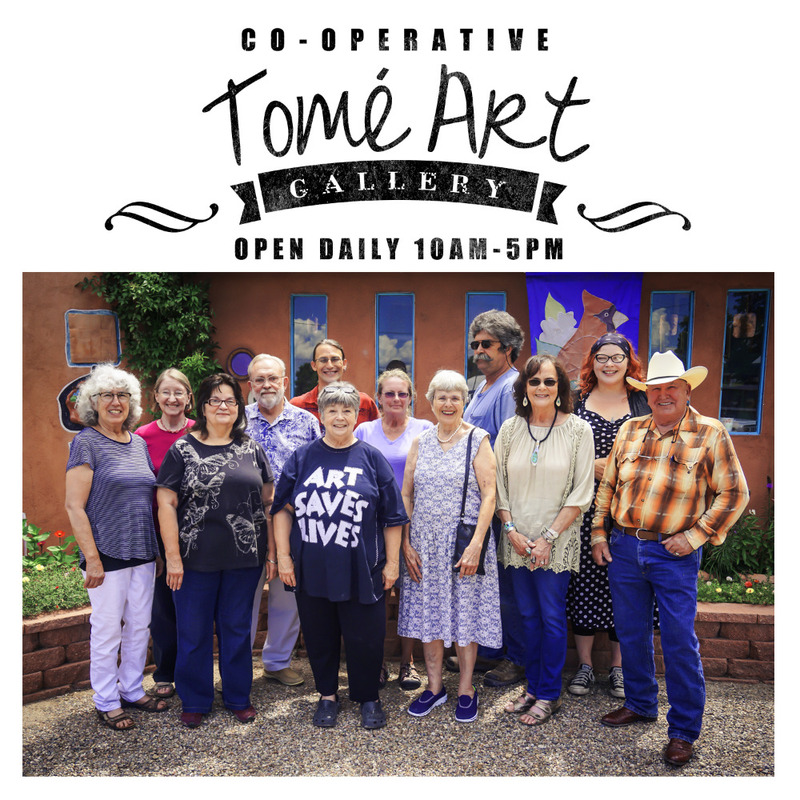 Our co-op members have stepped up to the task, and we are now inviting you to become part of our Tome’ Gallery family. The renovation costs are no longer manageable, and sadly will not be covered by insurance. 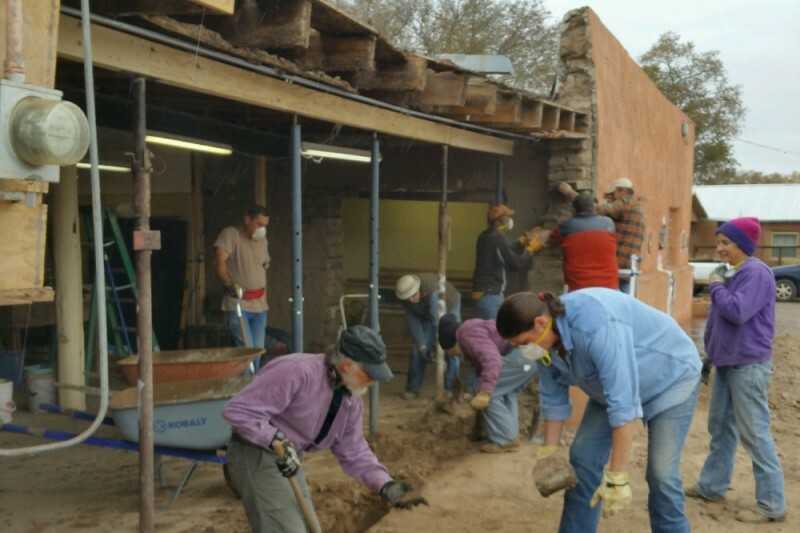 Many have asked how they can help in our efforts to restore this wonderful old, historic building, and provide an even more wonderful marketplace for our many local artists and craftspeople. The co-op was started 15 years ago and has fans statewide and even across the country. We have been involved in the community, raising thousands of dollars for scholarships with our annual Soup R Bowl event and supporting art education efforts in the local public schools. But the gallery is more than a building, more than a group of artists. It is a sanctuary for creative spirits in the community. We care about our community and are profoundly grateful that the community cares about us. Now we are asking our fans and supporters to help in the recovery of our historic building. 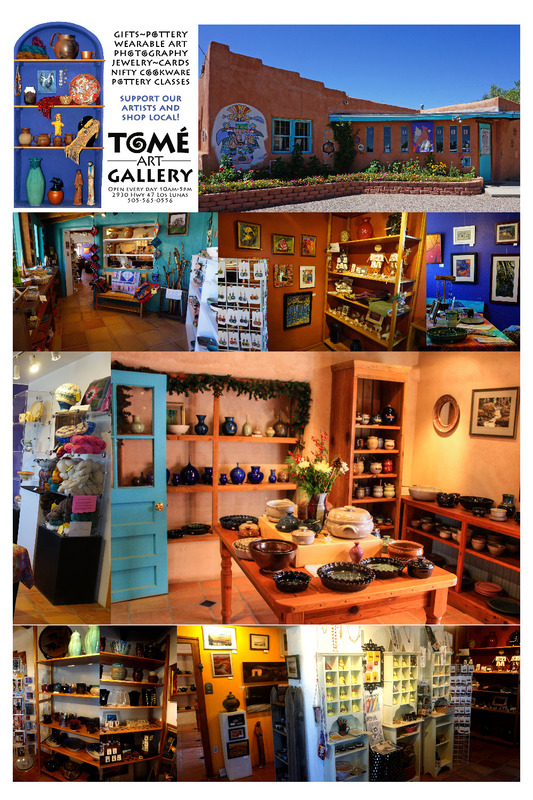 Donations of $50 or more will be honored on a donor wall created by the Tome’ Gallery artists. Watch for more as that project unfolds. Thank you for your support of a very special business in Valencia County!! We are making big progress these days. The ceiling is finished snd lights are installed. Plastering is about to happen and tiles will be in this week and installed the beginning of October. We are aiming for an opening the last weekend of October so save the dates: October 28,29 and 30th. It's been a long haul-- almost a year now. The expense has been huge, but thanks to George's dedication we are in the home stretch. We thank all of you who have helped in so many ways on this journey--- with your time and energy and your donations. We would not be where we are without you!! If you are able we are still in need of donations both financially and work-wise. We hope to see you all soon at our big celebration!! Whoo hoo!!! 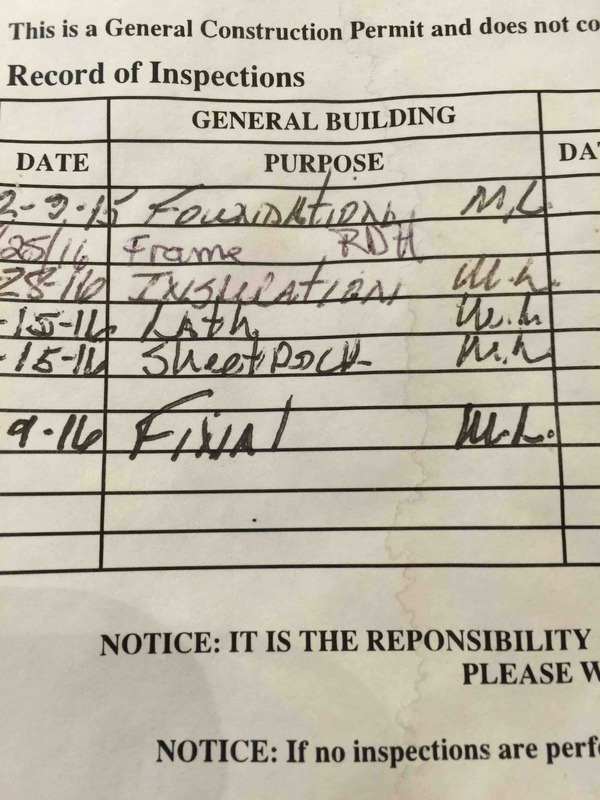 Final inspection approved!!!! Full steam ahead!! We are looking at an opening at the end of October. Get ready to part-tay!!!! 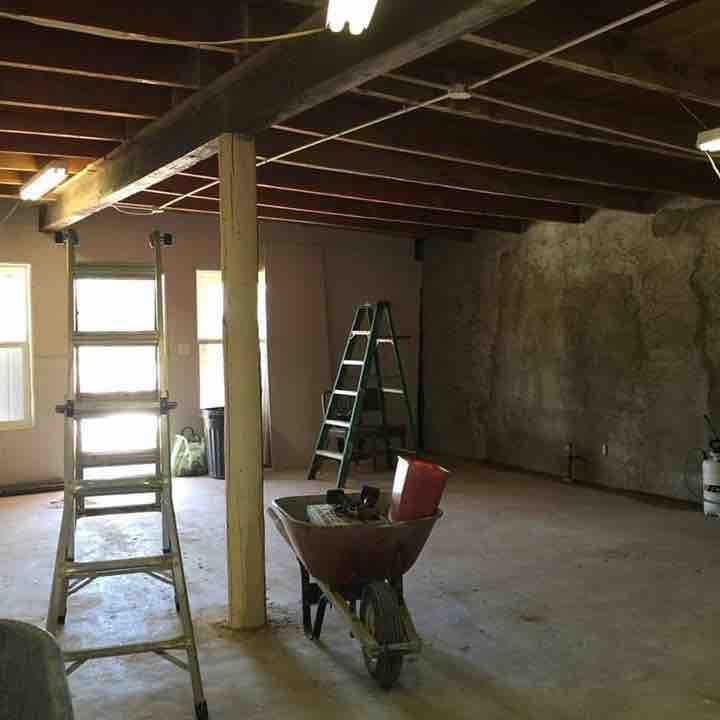 Today an incredible crew worked on clearing out the new space so that George can proceed with the renovation. We have called in to schedule the final 2 inspections so hopefully that will happen in the next few days. A big thank you to Joyce Johns and Gary Hutchinson, Debbie Christiansen and Michel Richard, Carole Moison, Ron Goens, and Jeri Schmetterer for all the grunt work!! Now it's full steam ahead. We thank you all for your continued support and remind you to keep a lookout for our grand opening!! I can see the light at the end of the tunnel now and can't wait to invite you all to one of the grandest celebrations ever! !